Do you know what your intake manifold sits on?...a superheated engine. If you don’t know already, the cooler your intake air is the more HP your car will achieve. We present you the answer to this age old problem, raising the intake manifold off the engine with the new GrimmSpeed Phenolic Thermal Spacer. We have installed both with and without OEM Gaskets and have had no issues with either way. We do recommend using 2 sets of OEM gaskets however, one on both sides of the spacer. 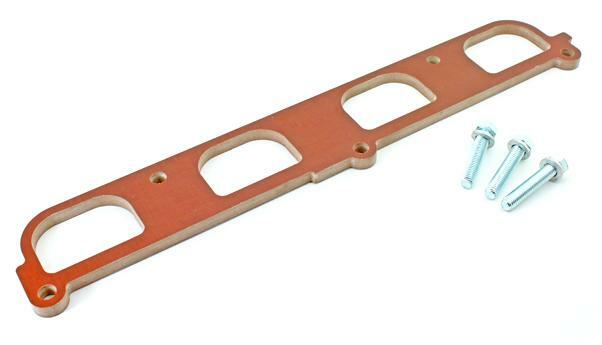 Phenolic Spacers are able to withstand 500+ degrees F. Hyundai engines run at around 200 degrees F, so the Phenolic Spacer is well within its max running temperature. GrimmSpeed has tested that it is also safe to run race fuel, E85, and methanol with the Phenolic Spacers.